The machine-friendliness of aluminum has made it the number one metal for machining. 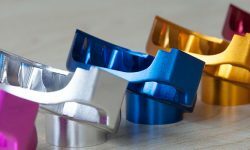 Its material properties make it easy to mill, drill, cut and punch, while aluminum machined parts can be strong, durable and aesthetically pleasing. All in all, aluminum is the most machinable metal on the market. Despite this, aluminum is far from perfect. Its easy machinability is counteracted by certain problems, which can include long, stringy and obstructive chips; chip wrapping; rough thread finishes; an overly “machined” appearance and straightness issues. Fortunately for those in the machining business, engineers and metallurgy experts are constantly working on solutions to improve the machinability of aluminum and its various alloys — through improvements to the material itself, improvement to machining practices and selection of appropriate alloys. The first way to improve the machinability of aluminum is to streamline the metallurgy processes used to create an aluminum workpiece. 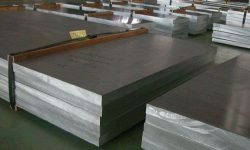 At present, the most widely used extrusion method for aluminum involves the use of a direct press, in which a ram forces the billet through a die with great force. During this process, which is usually called “forward extrusion,” the billet and ram move forward in the same direction. While forward extrusion is useful for creating large pieces of aluminum at a fast rate, it has drawbacks. A large amount of force is required to push the billet through the die, but that force does not remain even throughout the process: it is greatest at the beginning, and decreases as the billet moves forward. This variation in force produces grain inconsistencies, with one end of the billet generally unusable. By using an indirect press and the process of “backward extrusion,” a more consistent and high-quality workpiece can be made. An indirect press pushes the container and billet while the ram and die remain stationary. This is made possible using a stem, and results in lower frictional forces, reducing the possibility of cracking. This process is, however, less versatile than forward extrusion. Needless to say, not all aluminum is the same in terms of its machinability. While A6061 remains the most ubiquitous of the aluminum alloys in the machining world, it is neither the only option nor the ideal metal for all projects. A6061 offers good mechanical properties and corrosion resistance and is suitable for machine components and consumer products, but produces hard-to-break chips in certain temper conditions. Other alloys such as A6042 and A6262 possess material properties that can improve machinability. The former produces smaller chips than A6061, while the latter is developed specifically for machining applications. Like A6042, A6262 produces small and curled chips, but has the additional advantages of good finishing characteristics and heat treatability. If you are unsure about which alloys are suitable for certain projects, contact a machining expert like 3ERP for advice. 3ERP’s range of machining metals includes aluminum, steel, stainless steel (17-4, inconel 625 & 718), magnesium, titanium, zinc, brass, bronze and copper. The machinability of aluminum can be improved in other ways too, such as paying close attention to the tools and processing techniques used when machining the metal. In general, aluminum is better suited to tools made from tool steel, high-speed steel, cemented carbides and diamond, rather than from ceramics or synthetic materials. Maintaining the cutting tools also has a big effect on machinability. By keeping cutting edges sharp, maintaining a finely ground edge, using appropriate rake angles and using coolant feed systems, machine shops can ensure that aluminum is processed in the best possible way (and that tools are being maintained for their longest possible lifespan). Chips should also be directed away from the workpiece or into a chipbreaker, especially when using an alloy with a lower level of machinability. 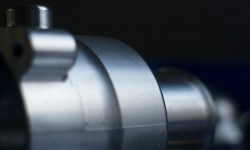 See 3ERP’s 7 Ways to Avoid Part Deformation in Aluminum CNC Machining for further tips on improving the machinability of aluminum during the machining process.